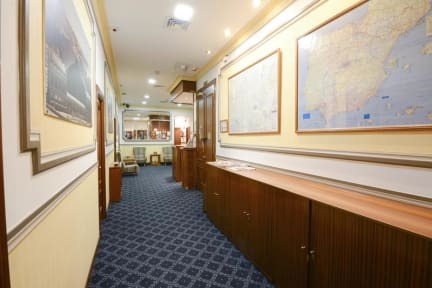 The Hostal Edreira brings you more than 30 years of experience and familiar treatment, we have 24 hour reception, coffee machine and soft drinks in reception (vending), Wifi in all rooms of the hostel, Air Conditioning in all rooms, tourist information, recruiting excursions in and around Madrid. Our location in the Barrio de Las Letras, famous for its history, its places of academic interest, its culture and corners, makes its situation unbeatable to know Madrid, perfectly communicated with the main areas of the capital by Metro as well as by different lines of buses and next to the station of Atocha-AVE. 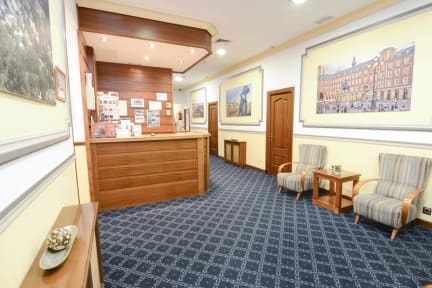 The rooms are equipped with complete bathroom (hairdryer, toiletries and towels), telephone, television, heating, wardrobe, study table, air conditioning, WIFI and safe-deposit box. In addition, we have several common areas where the guests and travellers can get together and exchange past experiences and future plans. The receptionist we met on check in was very rude and abrupt. The hotel itself was fine, had all the amenities we needed. However, the air freshener was very over powering, attempting to mask a musty smell. Otherwise, it was clean, but very dated. The hotel is centrally located, which is great, but there are currently huge roadworks and piles of trash on the street outside. The receptionist on check out was lovely and very helpful. Storing our bags for the day was a huge help to us.